Daniel collected everything about dinosaurs—books, movies and especially fossils. Of all the dinosaurs, the T-rex, with its banana sized teeth and tiny arms, was the one that fascinated him the most. Now in high school, Daniel and his best friends, Chris and Pat, get a chance to go on a dig in Montana. Soon after their arrival, a gifted paleontologist, who claims to have discovered a portal to another dimension, goes missing. When the boys set out to find him, that’s when things get interesting—and dangerous. Find out what fantastic adventures, and new favorite dinosaurs, await inside the Tomb of the Triceratops. A medieval tale of hope and mystery, The Last Order takes upper teenage angst and spins it on its head. Michael is a young man in modern England, minding his own business in the local library. Life turns on its head, however, when he has a powerful dream, full of symbols and foreshadowing. After awakening the next morning, he is compelled to seek answers of his dream: a quest that soon draws him into the beautiful and magical land of Aylosia. 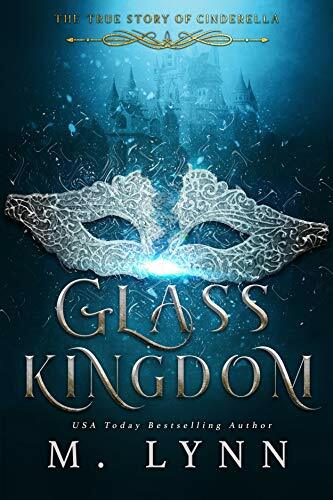 In an unfamiliar world with frightening creatures chasing him, threats against his life from all sides, and no way of knowing who he should trust; Michael must learn to face truths within himself in order to gain the power to save those he has grown to love. With plot twists and turns, wisdom literature that will make you ponder, and a story that is both tragic and triumphant, Dreams and Shadows is a story that will linger in your mind long after you have finished reading. Woven Peril is the thrilling second book in the Aylosian Chronicles, and continues the epic tale in a world of unusual magic and unique creatures. If you enjoy stories with a combination of action, tenderness and thoughtful wisdom, the Aylosian Chronicles is sure to be a series you’ll enjoy. 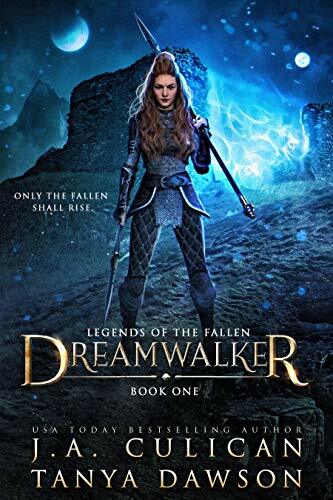 The epic conclusion to the Undertow series, 18-year-old Eila Walker is no longer the last surviving Lunaterra, and her Trial, Rillin, finally has the young woman he lost so long ago, back in his arms: Elizabeth. Never Underestimate the Power of a Liberated Witch. Despite swirling rumors of war, seventeen-year-old Bianca Monroe is living without restraint for the first time. With no curse to hinder her and her enemy, Miss Mabel, imprisoned in an impervious dungeon, she’s finally free. Nothing lasts forever. The Southern Network attacks, launching Bianca, her beloved father, and everyone she cares for into a war controlled by the clandestine witch Angelina. Chatham City burns, Guardians die, and Bianca soon realizes the only witch who can save the Central Network is the conniving Miss Mabel. 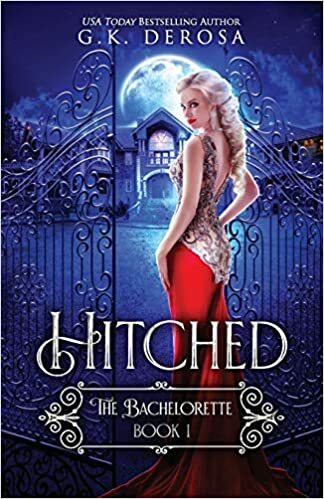 Will setting Miss Mabel free save everyone she loves, or unleash a greater evil on the Central Network and all of Antebellum? Is Bianca strong enough to make the right choice? The High Priest’s Daughter is the third book in the thrilling new fantasy collection The Network Series. It’s a haunting tale about growing up and finding the strength within. 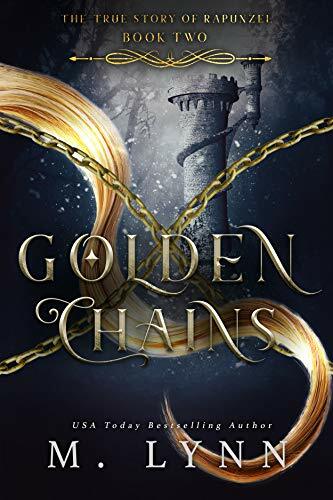 With the Central Network entrenched in war and teetering on the brink of destruction, eighteen-year-old Bianca Monroe is determined to defeat Mabel’s powerful Almorran magic by finding the Book of Light. During an attempt to save a burning orphanage, Bianca finds herself caught in a trap. Mabel kidnaps her, taking her to the hot sands of the Western Network where things are not as they seem. Mabel is more dangerous—and unhinged—than she’s ever been before. War of the Networks is the fourth and final book in the thrilling fantasy collection The Network Series. It’s a gripping tale about compassion, forgiveness, and surviving against all odds. Dragon Servants Sanna and Isadora Spence live in the village of Anguis, deep in Letum Wood, where persnickety dragons are the least of their worries. Thanks to years of simmering tension, the hidden village is destined to crack. Soon. Sanna’s deep love for the giant beasts causes her to make an irreversible mistake, while Isadora’s disinterest leads her to a fateful decision that will change the course of the entire world. Can the sisters prevent everything they know from falling apart? Or do they allow it to break and the pave the way for new growth? Join the beloved sisterwitches from the Network Series in a story about sisterhood, new magic, and dealing with change. The dragons brought peace to the city and the surrounding area when they rose. Jaekob believes there is no reason for further dragon involvement. They’ve’ lost enough lives to this cause. They’ve done their fair share and owe the world nothing more. But when the dark elves infect his city with a virus unlike anything he’s ever seen, he knows they need a solution. Now. 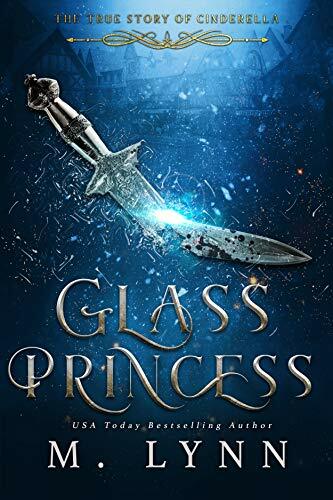 Fulfilling her destiny and becoming the Guardian has meant a world of sacrifices for Celeste Wilder, but her most difficult challenge is yet to come. 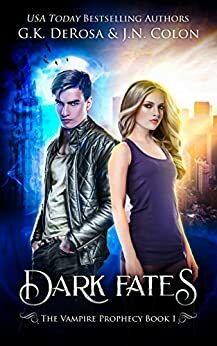 The supernatural forces at play are far more powerful than she ever expected, and she will have to trust her instincts if she hopes to survive. Lilliana Constantin is back from the dead. Alek is free and somehow stronger than ever. A pack of rogue werewolves are wreaking havoc in her small town. And on top of all this, Celeste faces what is at best an uncertain future with the love of her life. There’s no stopping a prophecy. A gritty rebel with dangerous ties. A secretive mine that buries the truth. A handful of ancient bones with dark origins. Shikoba, feisty daughter of the tribal queen Aisha, has been trained since birth to defend her people. On the cusp of her final trials, she is swept away by a dragon and a Djinn shapeshifter. Bearer of a crystal heart, Shikoba has been marked to free her people from the tyranny of Emperor Madrid. 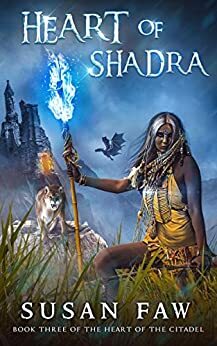 Shikoba is tasked with the destruction of the barrier that isolates her people from the other provinces, but an ancient evil stands between her and their freedom. Existing only in legend, the Naga is a fierce creature of magic and myth with a secret of its own to protect. Can one young woman gather the courage to protect all that she loves? The cost will be bitter – her death in the sacred salt mines of Shadra. Only the spirits of the ancestors can say for sure, who will prevail. Seventeen-year-old Reggie has been having a tougher time than usual. 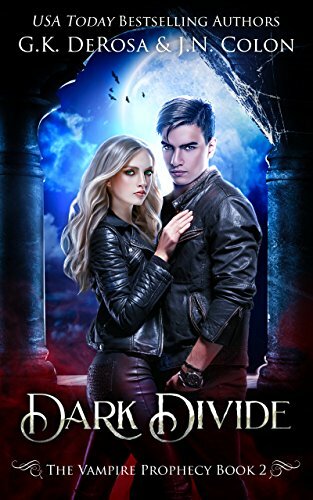 As if dealing with her alcoholic mother and fighting school bullies isn’t enough, this biker dude shows up in her dreams, babbling about magic and a world called the Other. Then, in biology class, her finger brushes a dead frog set out for dissection and it leaps off the table, scaring everyone, including her. Reggie’s life is changing, and she has no idea why. Or whether she should believe the man in her dreams, who claims she’s in danger and that someone is coming to take her to a safer reality. But if there’s one thing she’s learned, nowhere is safe. 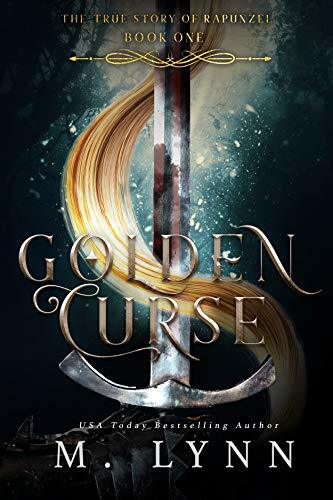 When 17-year old Kai is exposed as a female sorceress–a moonburner, she knows the punishment is death. 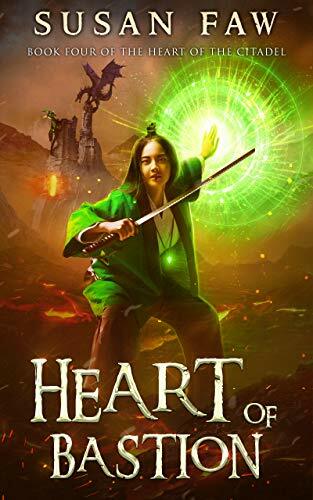 Despite the odds against her, Kai escapes her fate and undertakes a harrowing journey to a land where moonburners are revered and trained as warriors. A forbidden love. A sister’s jealousy. Two countries on the brink of war. One woman forced to choose between the man and the nation that she loves. Can she find a way to save them both? Azura, heir to the throne of Miina, is resigned to her fate. She must marry her mortal enemy in the hopes of ending a centuries long war. But when a handsome and enticing stranger appears on the horizon, she is swept up in an illicit but undeniable romance. 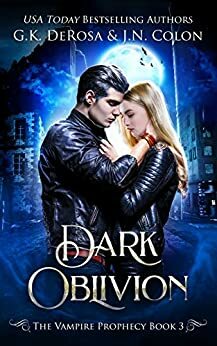 When a false accusation puts her new love’s head on the chopping block, Azura must give up all she knows in a daring and desperate plot to save him. The seer’s words were coming true, but Trystan Renauld refused to fulfill the prophecy. It would not control him. But it wasn’t over. The Tri-Gard was within his grasp. The prince won’t know who she is. Not anymore. But she knows him and what he will do if he discovers her true name. 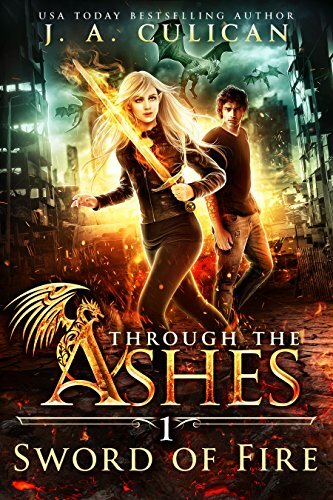 Made to fight for her life to earn her place, she vows to find a way to break the curse no matter the cost. The last warrior standing will win a spot at his side. 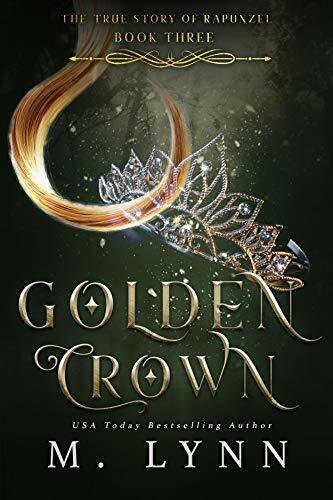 As he’s thrust onto the throne, forbidden magic, dangerous betrayals, and a complicated love could tear his reign apart. Never fall in love with the enemy. Persinette Basile has always known the ruling family of Gaule were meant to be her enemy. With no other choice, she fought to join them anyway. And they will break her now that they know her true name. As she sits in her prison cell, she wants one thing: for the Kingdom of Gaule to burn to the ground. When the king is kidnapped, the kingdom turns to the only person who could possibly find him: the woman tied to him by magic. Etta. Life-altering secrets. Magical duels. A love that could tear two kingdoms apart. No longer only a warrior. Not just a queen. Persinette Basile has a new purpose. The chains she’s carried since the curse began are gone, replaced by a crown. But freedom can’t exist while enemies surround Bela on all sides. La Dame lurks on the border in Dracon, waiting for her revenge. In Gaule, magic folk are hunted and punished for their Belaen heritage. A journey into Gaule brings her face to face with the one person who can destroy her with one simple act: dying. No longer tied to Alex by magic, his death should mean nothing to her. As she learns more about who she truly is and the legacy of her family, she’s forced to answer three questions. Can she save the king of Gaule? Can he be trusted if she does? And what will it mean for her people if she finds herself unable to let go of him again? A rebellion. A dying king. And a magical war that could end everything. A magical world. A mysterious truth. Dark forces. Night after night, Joshua dreams of his long dead father, making him wonder about the stories he was told. Wanting to know the truth he sets out to find the Oracle, his best friend and an imp joining him. Travelling through fantastic lands, he stumbles across one of the magical artefacts needed to open the Portallas, a permanent gateway that links the worlds together. A malevolent creature of the underworld, known as the Goat, is determined to stop him. Joshua needs to find the rest of the artefacts first and learn the truth about his father if he’s to have any chance of surviving an encounter with the evil creature. A plea from a dying friend. A strange and unfamiliar world. Joshua’s life and all those from this new island realm are in mortal peril. Can Joshua free his people? Will he survive before his nemesis destroys everything? Only one thing is certain: Sacrifices will need to be made. Joshua and his friends land in Asteena in the Valley of Edufu, where they find their memories have been removed. Joshua must make his way throughout the land, stopping at temples and avoiding deadly creatures, to restore a critical memory needed to defeat his mortal enemy. With his mind playing tricks on him, he doesn’t know whom to trust. This king is sending him help but not all is as it seems with the power behind the throne.